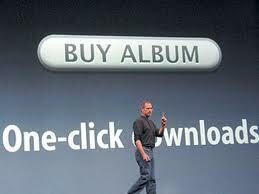 Apple Computer launches the iTunes Music Store. The store sells music for 99¢ a song for use with the Apple iPod and iTunes software. It is not the first service to sell digital music, but it will become the first to gain widespread popularity. The service will be an instant success, selling over one million songs in its first week and going on to change the music industry forever. The iTunes Music Store is now the #1 music retailer in the United States, surpassing Wal-Mart in 2008.